Born in the Canary Islands to a Spanish mother and a Czech father, Manolo grew up in the lush and isolated setting of a banana plantation owned by his mother’s family. He recalls having an early fixation with feet-specifically those of the lizards that invaded the gardens of his home. In a solitary game, Manolo would shape the aluminium wrappers from his chocolate candies into shoes for the unsuspecting reptiles. It wasn’t until his conversation with Diana Vreeland many years later that he would think about creating shoes again. Manolo studied shoemaking informally and at the source, by visiting the best Italian shoe factories and interrogating the artisans about their craft. 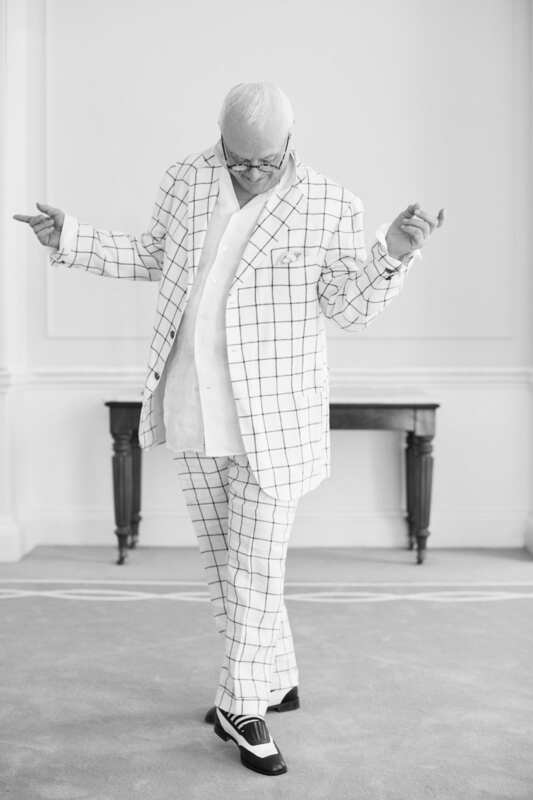 Settling in London in 1969, just one year later, he opened his first boutique on Old Church Street, in Chelsea. In 1971 he developed his inaugural shoe for a runway show of the most prominent British fashion designer of the time, Ossie Clark. In those early days, Manolo never left his shop. 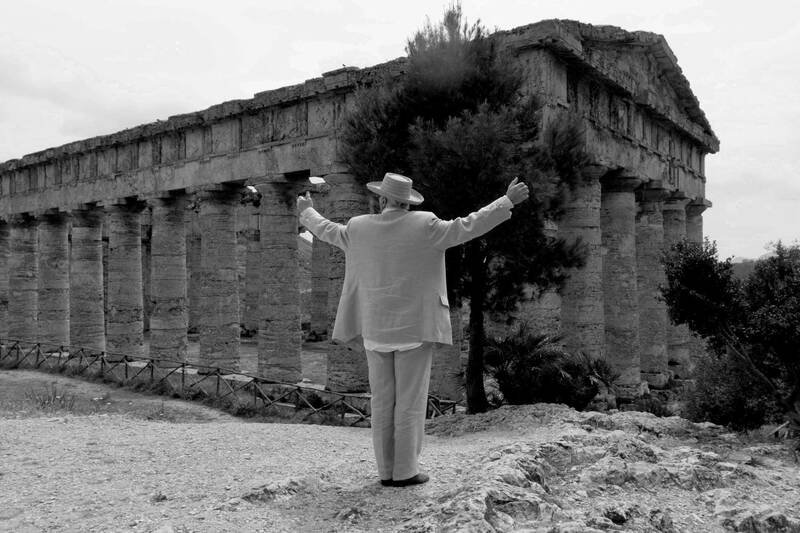 His magnetic personality created an atmosphere of beauty and fascination for customers and friends such as Bianca Jagger, Rupert Everett, David Hockney and Anna Wintour. Manolo has always been a sophisticate, with a personal style belonging to another time, or perhaps existing outside of time altogether. He found the bulky platforms and wedges of the ‘70s boorish and inelegant, so he designed sleek stiletto heels and persuaded his female customers to adopt his more refined sense of femininity. The stiletto has yet to fall from grace. Expanding his influence to New York in 1983, Manolo opened a shop on West 54th Street. With the help of his friend, Anna Wintour, he quickly became the go-to shoe designer for the runway, creating collections for Izaac Mizrahi, Oscar de la Renta and Calvin Klein, among others. In 1990, he won the CFDA and the British Fashion Council Accessory Designer of the Year awards. His regal designs were featured on the silver screen in Sofia Coppola’s film, Marie Antoinette, which won the Oscar for best costume design in 2007. That same year, Her Majesty Queen Elizabeth II presented Manolo with an honorary Commander of the British Empire (CBE) for his contribution to British fashion. In a career spanning over four decades, Manolo has remained inexhaustibly creative and effortlessly original. In 2015, he published Fleeting Gestures and Obsessions, a transcript of conversations with fellow icons such as Pedro Almodóvar and Sofia Coppola about his treasured influences in art, design and literature, alongside select photos from his archive of over 30,000 designs. In 2017, a filmed portrait of his life, MANOLO: The Boy Who Made Shoes for Lizards, directed by Michael Roberts, was released in theatres around the world and on Netflix. A two-year travelling exhibition of his work titled The Art of Shoes will soon arrive at its final stop at the BATA Shoe Museum in Toronto, Canada. 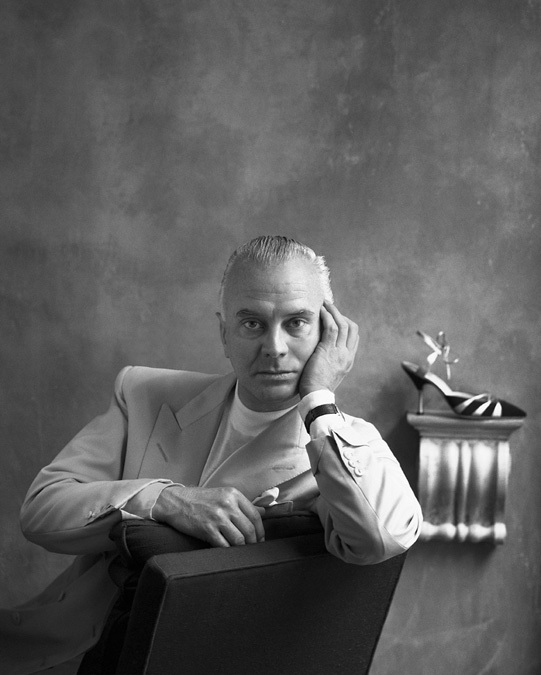 Today, Manolo Blahnik works at the same dynamic pace he always has. 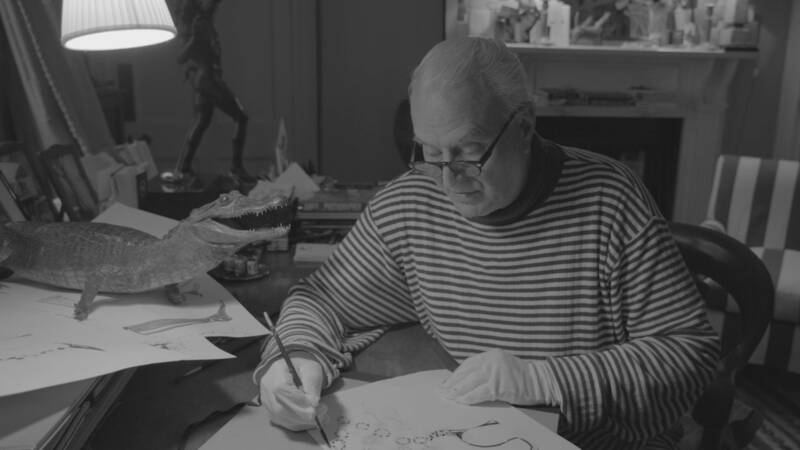 If he isn’t drawing designs at his office in Marylebone or at his home in Bath, Manolo can be found in the factories in Italy, developing samples by hand, dressed in his characteristic white lab coat with a silk handkerchief tucked in the breast pocket- spirited and meticulous in all that he does and all that he is.